49 Cowboys and Cowgirls had the pleasure of helping Blue Boy celebrate his 90th birthday during the Wartrace Regulator’s July 4th Match. 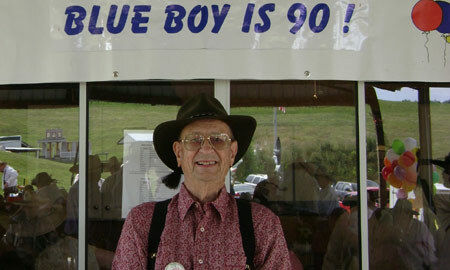 Blue Boy, SASS 46773, started Cowboy Action Shooting in 2002. Blue Boy shoots at most of their monthly matches and The State Championship. He occasionally travels , with his son Imis Twohofon, SASS 46646, to other matches. What a great story. I hope to read about his 100th birthday celebration at the range in another 10 years.